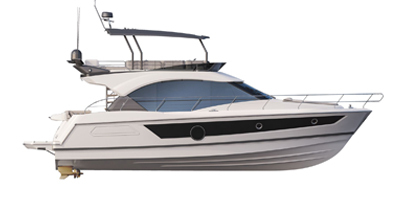 The Flyer 23 SUNdeck exceeds regular day boat standards by combining comfort, generous space and sensations. Its highly optimized design makes it the ideal boat for a weekend getaway. A decent-sized cabin lies beneath a large sunbathing area for lazing in the sun. 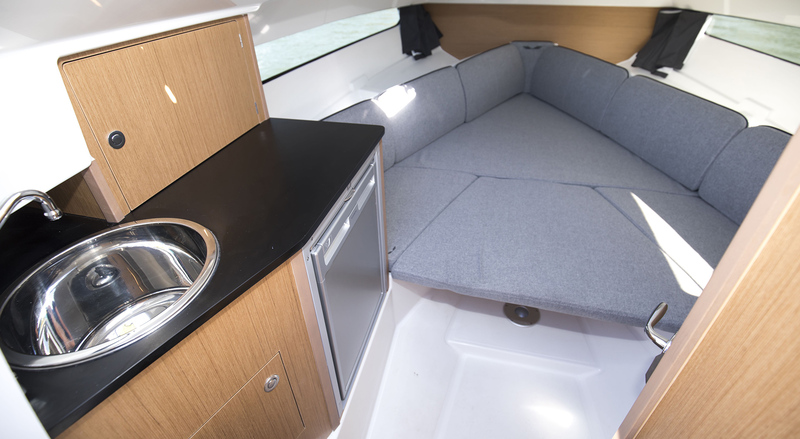 The Flyer 23 SUNdeck is astonishingly comfortable inside. The double-berth cabin has incredible headroom for a boat this size. The boat also has a separate head and a small galley. Certified to carry 10 people, the quality of the Flyer 23 SUNdeck’s fittings and its finishes make a big impact. Open to a wide variety of programmes, it would be hard not to spend a few more days enjoying the pleasures of the sea. The Flyer 23 SUNdeck is small enough and easy to transport by road. 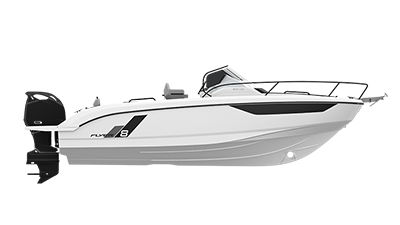 The Flyer 23 SUNdeck’s single engine is ergonomic, saves money and offers good performance. Circulation to the stern is made easier and the swim platform is much bigger. With a 300 hp Mercury engine, she can reach peak speeds over 43 knots.